Everyone knows that I love music. I'm always trying to keep up with the music scene. I'm always on music apps, YouTube to discover latest/new music. I also listen to random playlists to find "treasure", haha. I found this new music app and I love it. Yonder Music is the digital music service that appeals to the 99% of human kind '. UNLIMITED ACCESS TO MILLIONS OF TRACKS. device manufacturers and more particularly mobile network operators. It benefits us as consumers. After you listen to a track on Yonder Music, it will be automatically downloaded to your device. Time saving, hassle free, convenient, easy. You can listen to the tracks offline and online. Before this, I had to download manually and add to my playlist. Or have to pay monthly subscription to get music offline feature. it will be progressively downloaded to your phone. Play continuously, stream any songs you like, whenever wherever however you want! As I mentioned, you can listen to the tracks offline and online. they will tell me to go online and stream the music, it drains my data. Anyway, you can check their website here. and start playing your favourite music now. Me, being in my zone. It lets me interact with my followers too. Many of you always ask me for my playlist. Now you can see my playlist on Yonder Music. Jane and I are always sharing new and good music with each other. So happy that we get to be on this Yonder Music campaign together! Jane, Brian and me with the mystery truck. I love this truck, I had to climb onto it. thanks to Yonder, it's happening!!! It's one of the friendship goals we want to achieve. We are going to Las Vegas to watch BRUNO MARS! Last year, both of us went to Australia to see Lorde. 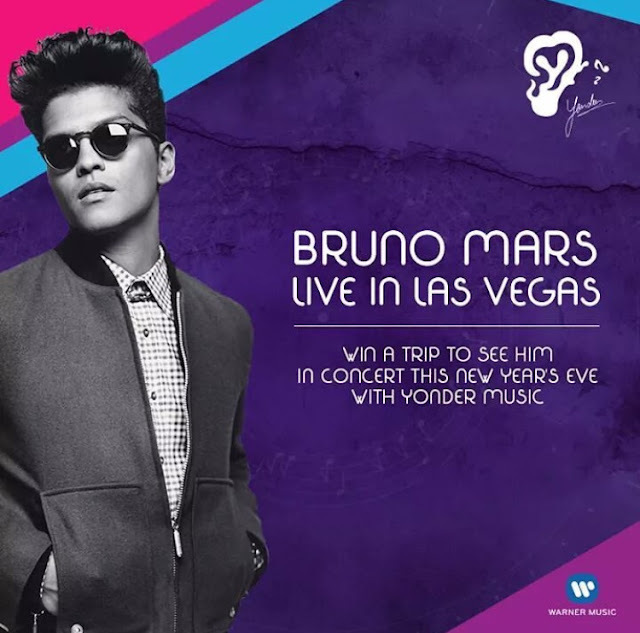 This year, Vegas baby, for Bruno Mars, I can't believe it!!! You can be one of the 25 winners to win an all-expense paid trip to Las Vegas!!! What's even better? YOU CAN BRING YOUR FRIEND. Activate your Yonder Music now and create a playlist with Bruno Mars' song in it. Follow Yonder Music Malaysia on Facebook where winners will be announced there! For details on contest, you can find it here: http://on.fb.me/1lZsitJ. No subscription fee and Zero Data Charges! !